﻿An Acrostic Poem is a poem where the first letter of each line spells a word and each line gives details and helps explain the chosen word. ﻿Your Task: Use your notes and the textbook to create an acrostic poem for the term your teacher assigns. If you are choosing your own term it must be no less than 7 letters. 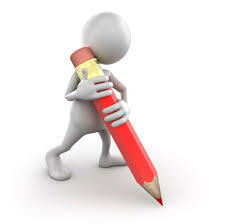 Your task: Write a personal letter to someone in history giving them advice on how to deal with a historical situation. Your letter should include any key terms of people involved with the event in some way. 4. You are writing this as if you were giving a friend advice, try to be helpful! Your Task: Complete the following sentences for each person or group of people assigned by your teacher (You will be making more than poem). When writing these poems pay special attention to the different points of view held by each person or group. Your task: Write a series of diary entries as if you were a person living through a historical event. Keep in mind this is not a report on the event but the thoughts and feelings of someone living through it. Your diary should include any key terms or people involved with the event in some way. 2. Write a one-paragraph entry about the beginning of the event. Include the date. Briefly described how the event began (if your person would know). 3. Write a one-paragraph entry about the middle of the event. Include the date. Mention whether things are better than the beginning or not. 4. Write a one-paragraph entry about the end of the event. Include the date. Describe your character’s feelings about the event now that he/she has lived through the whole thing. Your task: Create a game that could be played in the civilization we just studied. Be sure to think about what materials would be available and the geography of where you would play the game. There’s a reason ice hockey is popular in Canada! 1. At the top of your paper give your game a name and write where it will be played. 3. Describe the equipment you would need and what it would be made out of. 4. Draw a quick sketch of your game being played. This can be just a very simple drawing. A very simple game you can play with your friends. Just find a lizard in the sand and throw it tail-first at a tree. If it sticks in the tree you get a point! · Everyone plays at the same time, as soon as you catch a lizard you can throw it. No need to take turns. · Each lizard that sticks is worth 1 point. · No special equipment is required. You can make gloves out of… well, nothing I guess, you’re in the desert. Just hope the lizard doesn’t bite! Your task: Write a fictional short story that includes vocabulary and historical events from a given unit. This story can be set in any time period and be about anything (if you want to write about time traveling vampire-robot-ninja-pirates, go for it!) but must be a complete story with setting, characters and conflict. o At least 5 paragraphs including a beginning, middle and end. o At least 10 key terms or ideas from the historical unit. o A final draft done in ink with proper spelling, grammar and punctuation. Your task: Write out an instant message (IM) conversation between two historical figures about a given topic. It should be written in netspeak (lol, brb, ttyl, and smilies for example) and should show at least to some degree the opinions of each figure. Continue until you have 10 lines for each! Your task: Often when a famous person is about to give a speech they are first introduced by someone else with a short speech. Write and recite a short introduction speech for a famous figure. -Be about 1 minute in length (approximately 2 paragraphs written should do it). -Include key details and information about the figure. -Make the person sound important. Ladies and gentlemen of Rome, it is my pleasure to introduce to you today a man who rose up in our time of need. This is a man who can and will save the Roman Empire. He is not just a squabbling senator; no, he is a warrior! What other man do you know who killed an elephant?! This is the man who led the Roman army to victory time and time again. He conquered Gaul and grew our mighty land all the way to the Atlantic Ocean! This is the man who out of the goodness of his heart adopted his nephew Octavius as his own son. Today I am proud to introduce the only Roman leader who truly cares about you – the people. He got rid of the awful, wasteful Republic and replaced it with the new and mighty Empire and the one person who could hold it all together. Ladies and gentleman, here he is, JULIUS CAESAR!!! Your task: Create a T-chart to evaluate whether a historical figure is good or bad. 2. Write one paragraph explaining whether this person did more good or more bad. Give reasons from your chart and be sure to explain. Your task: In the past people rarely left the village in which they were born. They would live, work and die without ever travelling more than a couple miles. Imagine you were one of the lucky few people from the unit who was able to travel away from home. Maybe you were going off to war, to visit a major city or were going on a trade journey. Write a series of letters back to your family to tell them about what you see and what happens to you over a period of time. 1. Write six letters to your family about different things you see and experience on your journey. a. Each letter must be at least a complete paragraph and each on their own paper. i. A great building you see. ii. An invention you might come across. iii. A religious festival or ritual you get to participate in. v. An interesting geographic feature like a specific mountain or river. vi. A battle you participate in. vii. A game or activity you witness or participate in. d. Remember, you are seeing these things for the first time and your family has never seen them so you’ll need to use great detail. 2. Create a cover sheet that includes your name and include it with your letters. Your task: Write and act out a 3-5 minute play about a specific historic event. You will include a background for scenery (either drawn or projected) and any necessary props. 1. Write a script that includes all lines of dialogue, narration, scene descriptions and stage directions. a. Your play must be about a specific event in history - get approval of your idea from your teacher before you begin writing. b. It cannot include any action scenes. You may set up your scene to take place immediately before or after a battle but do not waste my time running around the room with paper swords. c. Some jokes are ok but your focus should be on providing information and feeling. d. When you perform it must be 3 to 5 minutes long - that usually means 3-5 pages of a written script. 2. Create the props, costumes and background for your play. a. Props should be period accurate. I don't want to see cannons in a play about Rome. b. The background can be created on butcher paper or projected on the board from the computer. c. Costumes should at least make it seems like I'm not looking at 3 kids from the 21st century. a. You may not have your scripts with you - memorize your lines! b. Plays less than 3 minutes will not receive credit. Your task: Create the layout of a social network page for a historical figure. You do not actually have to create the page online, just a model of what it would look like drawn out on a piece of paper. Create each part listed below as a rough draft. Number them on your paper. 1. The person’s name and a nickname that shows what they are known for. 3. The time period and location the person lived in. 4. An “about me” section that summarizes the person’s life in at least 2 paragraphs. 5. 1 “blog” where the person writes his/her opinion about an event that happened during his/her lifetime in at least 2 paragraphs. 6. Comments from at least 2 “friends” talking about this person’s life. 9. Show your paper to your teacher for approval. Make sure each piece is numbered. 10. Create a final draft on a clean sheet of white paper or on the computer. It should be neatly layed out, organized and colored. Your task: Imagine you (yes you) were transported back in time to the unit we are studying. Read the questions below and write your answers as if you were really there. You will have to do some research either in the books or on the computer to answer many of these. Instructions: Answer the questions below on your own paper in 3-5 sentences each after completing your research. Some suggestions on what to talk about are given in parentheses after each question. 3. Describe some of the foods you would eat. 5. Based on your answers and research would you want to go back in time to live in this civilization? Why or why not? Your task: Rewrite the lyrics to a popular song to make it about an event or civilization from history. 1. Print or write out the lyrics to a popular song that is appropriate for school. 2. Rewrite the song with new lyrics that about all about one event, person or civilization from history. It must rhyme! 3. You must change the entire song and it should not be repetitive (the chorus, of course, can repeat). 4. Turn in both the original lyrics and your rewritten ones. Your task: Imagine you were a specific person living in the time of the current unit. Imagine how you might respond to seeing the items below. 2.Choose five of the items/things below that your person would have an opinion on. 3.You may choose other modern objects or ideas that are not on this list if you wish. 4.Write three or four sentences for each object you choose that explain how the person would view the object or what they would think about it. 5.Write these as first-person sentences that show some information about the person and their civilization.